The base document used came from the Exploration Guide and a document submitted by Kimberly Crandall from... (more) Florida. More questions were added, and the formatting was adjusted. A worksheet with numerous blanks that walks the students step by step to use this GIZMO to its fullest. Intended for use the Triangle Relationships PowerPoint, but may be used separately. Have them doing this one. 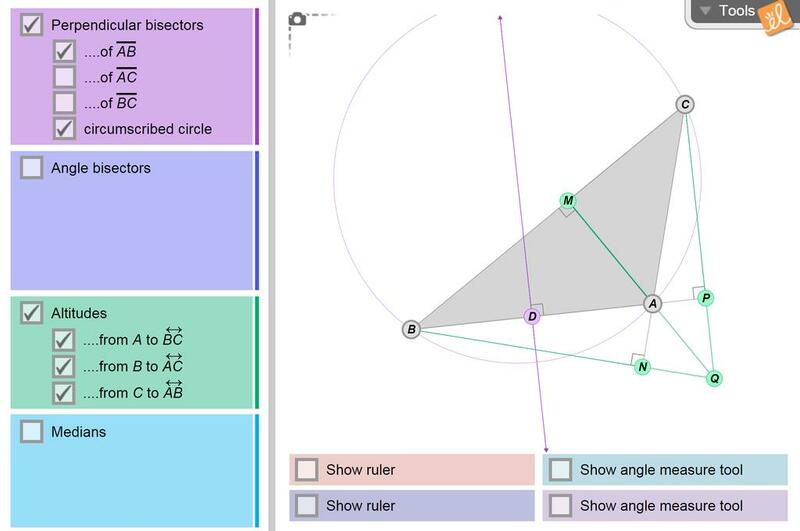 Great Geometry Gizmo with no more need to draw figures again and again!